When Pokemon Let’s GO Pikachu/Eevee was first revealed, many fans of the Pokemon RPG felt betrayed by the company, feeling the game was watered down to cater to Pokemon GO players. 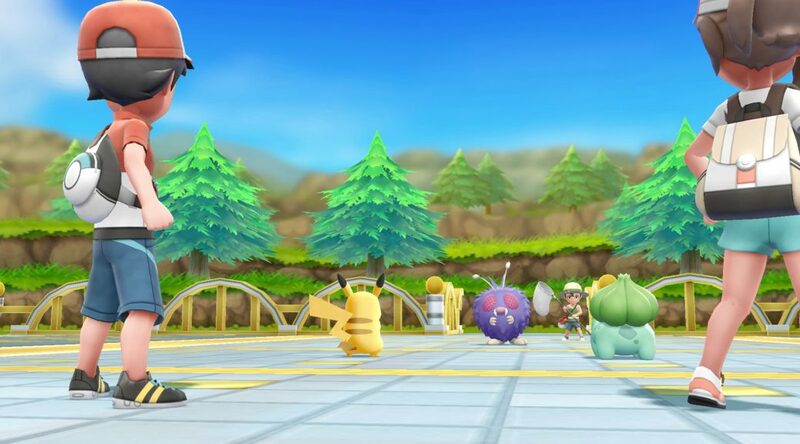 The Pokemon Company CEO and President Tsunekazu Ishihara told Famitsu in an interview that the Pokemon formula is always changing and changes will eventually be accepted by players. He asks fans to put some trust in them as Game Freak will never “go wrong with the basics”. Among those who have tried the game, some may feel that it has changed. However, we have been continuously changing the formula of the games since our inception, and in the end the players have accepted those changes. In that sense, this time we are doing the same, but that is part of the long tradition of Game Freak and the Pokémon series. We will not go wrong with the basics, so please, trust us. Ishihara also explained why they went along with remaking Pokemon Yellow for Pokemon Let’s GO Pikachu/Eevee and confirmed the games were created as a stepping stone for Pokemon GO players to play the core Pokemon RPG. In Pokemon GO, you can take with you an associated Pokémon and walk with it, but if we return to its origin, we get to Yellow Pokémon. In Pokémon: Let’s Go, Pikachu! and Pokémon: Let’s Go, Eevee! We wanted to expand this feature even more. Pikachu always follows Ash in the anime, while Eevee has become very popular because it can evolve in many different ways. And as I mentioned before , we want this to be the game that people go to play after Pokémon GO, since Pokémon Pokémon Red, Blue, Green and Yellow appear in Pokémon GO, so it seemed like a good decision. Based on these things, we decided that Yellow Pokémon would be the perfect choice. Pokemon Let’s GO Pikachu/Eevee launches November 16, 2018 on Nintendo Switch.